Racially insensitive remarks are again forcing an NBA team owner to sell. While there's no way the Atlanta Hawks will be sold for the $2 billion that Donald Sterling's family got when it sold the Los Angeles Clippers, the team could fetch as much as half of that. 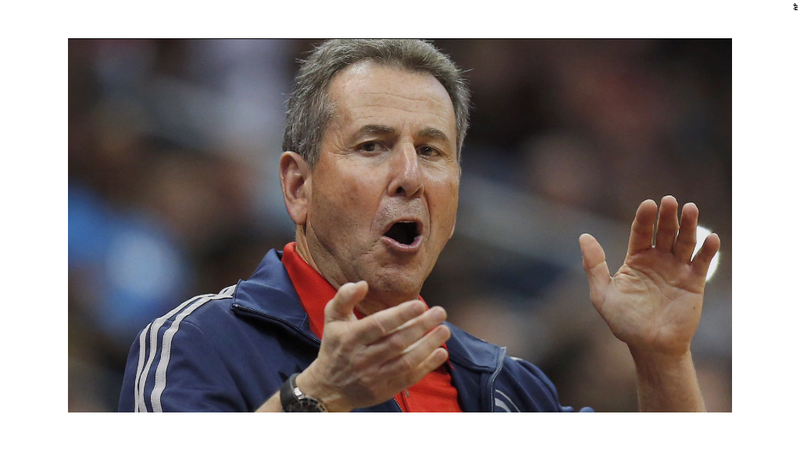 Controlling owner Bruce Levenson said he would sell the Hawks after a two-year old e-mail surfaced in which he wrote that the team's "black crowd scared away the whites." Attendance, for whatever reason, is a big problem. The Hawks are one of the worst drawing teams in the league, with nearly 25% of the teams' tickets going unsold last season. The Clippers sell out regularly. Another reason the Hawks won't sell for as much: Atlanta is only about half the market size of Los Angeles. However, there are reasons the Hawks are more attractive than two other teams -- the Sacramento Kings and Milwaukee Bucks -- that sold earlier this year for $550 million each. Patrick Rishe, a professor of sports business at Webster University, estimates the Hawks will go for more than $700 million, though probably less than $1 billion. He said the Philips Arena in Atlanta is a much newer and better facility than those in Sacramento and Milwaukee. Rishe also thinks that if the new owners can't solve the team's attendance problem before the current lease expires in 2018, the Hawks could move to an open market such as Seattle, Las Vegas or Kansas City -- although all of those are significantly smaller than Atlanta. "If the new management is able to create a turnaround, there's a better chance they stay. If that doesn't happen, there's a high likelihood that they'll leave," said Rishe. Hawks co-owner and CEO Steve Koonin told the Atlanta Journal Constitution that he has already had numerous inquiries from potential bidders. "I had over seven phone calls directly today from multi-billionaires," Koonin told the paper. "It blew my mind some of the people who wrote me today." The NBA's current labor deal and the growing value of television rights deals makes owning a basketball team that much more attractive. Advertisers are desperate to find programming that viewers still watch in real time, increasing the value of sports broadcasts. Sports Business Journal reported Monday that the NBA is getting close to a new national television rights deal with Disney's (DIS) ESPN and Time Warner's (TWX) Turner Broadcasting that will be worth more than $2 billion a year, more than twice its current TV deal. CNNMoney is a unit of Time Warner.